Dover Publications is proud to announce the donation of $5,000 to Reading Is Fundamental (RIF), the nation’s largest children’s literacy organization, as well as other 75th anniversary events. On May 18, 2016, the publisher’s actual birthday, Dover donated a percentage of every purchase made at their website to help RIF provide free books, motivational activities, and learning resources to help youngsters read, learn, and grow. Marking their 50th anniversary this year, RIF has already distributed more than 412 million books to 40 million children. 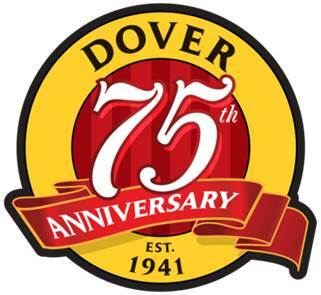 The Reading Is Fundamental donation is just one way that Dover is commemorating its 75th anniversary. The “Share Your Dover Story” contest gave loyal readers the chance to offer a personal recollection about why they love the publisher’s books and how they have enriched their lives. Over 800 people entered and the grand prize winner was awarded a $75 dollar shopping spree at the Dover website — second and third places won $50 shopping sprees. The publisher is also preparing for the second annual National Coloring Book Day on Tuesday, August 2. Sponsored by Dover, the most colorful day of the year is filled with a variety of fun-filled ways for colorists to enjoy their passion, from local coloring book parties and contests to downloading a free mini coloring book at the coloringbookday.com. Plus, colorists are encouraged to share their coloring pages with #nationalcoloringbookday.